As part of our ongoing commitment to providing fans with a positive matchday experience, a dedicated team of Matchday Supporter Liaison Officers (SLOs) will be stationed at key points around the Stadium, on hand to help and assist supporters with any queries or concerns they may have. The SLOs will be positioned outside turnstiles on the Podium Level, welcoming supporters as they arrive for the match. The SLOs will be wearing West Ham United branded uniform, with their role title clearly visible on the back of their jackets. After kick off, they will be present inside the Stadium on the concourses to provide further help and advice, before heading back out to assist supporters as they exit at the final whistle. 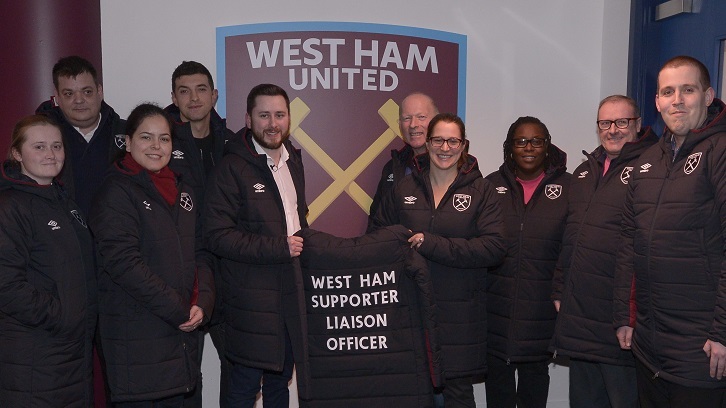 The team of SLOs consist of individuals who have combined experience and expertise in football stadium operations, crowd safety, ticketing and supporter liaison, along with a knowledge and understanding of West Ham United and our fanbase. We want to hear from you, so please speak with a member of the SLO team to provide us with your feedback, it is extremely important to us. You can find the main positions our SLO team cover here.